"Did you happen to catch the Town Council meeting? The Veteran's Walkway project for the Town Common has been approved. This walkway will run from the flag pole near the War Memorials to Union Street. 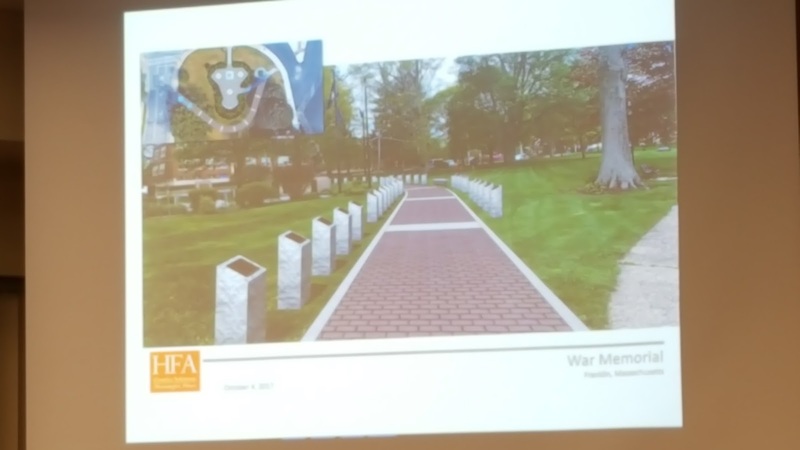 All along the walkway will be granite posts with bronze plaques in recognition of our Franklin residents who gave their lives in defense of our country since World War I. The project is being funded entirely by donations from members of the community. You may purchase a brick to honor a veteran or currently serving member of the Armed Forces for $100. The proceeds from the sales of bricks will be used to pay for the project. Please stay tuned and we will post the artists renderings of the project."